Novo is a string library with two distinct personalities. Here it’s in its conventional guise, as a familiar multisampled violin section. The sophisticated round-robin and bow-direction features at the top of the interface add significantly to the sense of realism. 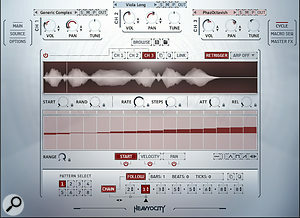 Heavyocity are one of the better known sample library developers out there, thanks to well-received titles like Gravity (reviewed in April 2016’s SOS), and their tie-in with Native Instruments on the Evolve series. The US-based company’s philosophy is, in their own words, to “provide cutting-edge, inspiring instruments and sounds that supercharge creativity, formatting them in ways that enhance productivity”. Great-sounding and quick to use, then. 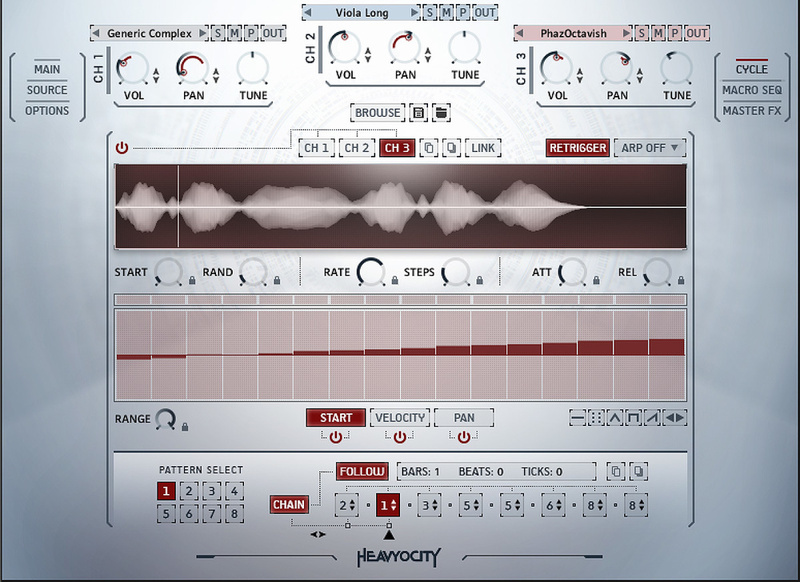 And whilst I wouldn’t want to pre-judge anything here, many of Heavyocity’s audio demos showcase an unashamedly supercharged, dramatic quality. Take Gravity (the movie’s) relentless surges and hits, add some typical Scandi-noir brooding minimalism and a pinch of Ramsay’s Kitchen Nightmares melodrama and you’re right there. Most of their sampled offerings so far have been hybrid in nature: orchestral, but also enhanced by synth and non-musical sound-design elements. Novo is the first that goes to town on a single orchestral section. 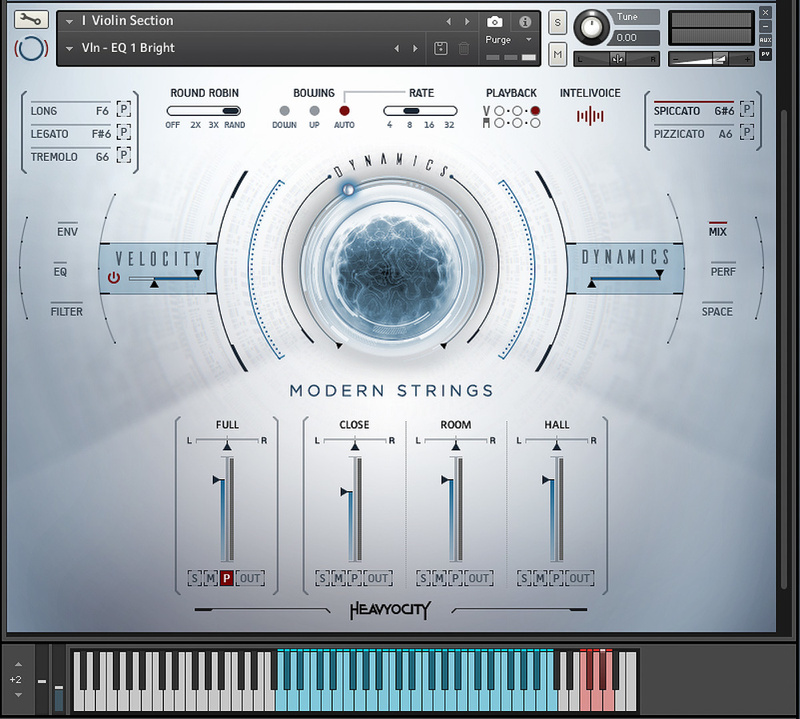 So, in a market that’s not short of sampled strings, what can Novo offer that’s, well, new? 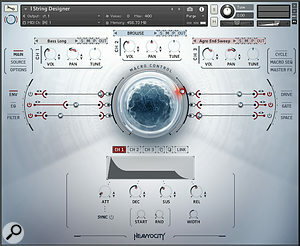 Novo presents itself in Kontakt (or Kontakt Player) with two distinct personalities. The six patches that make up ‘Traditional’ are, as the name suggests, fairly standard multisampled fare. They could be used to create convincing, naturalistic string arrangements, although, as we’ll see, they are by no means limited to that. The two ‘Evolved’ patches, on the other hand, are anything but conventional. This is the string orchestra refracted and repurposed via a bunch of onboard effects and a simple-but-powerful macro system, whereby a single MIDI-driven control dials in multiple simultaneous parameter changes. ‘Traditional’ instruments feature a separate synth architecture, with per-voice filters and modulators for each of the three mic perspectives and ready-mixed Full blend.Let’s start with the Traditional instruments. There are separate patches for the violin, viola, cello and bass sections, plus separate ‘High Ensemble Textures’ and ‘Low Ensemble’. The vibe throughout is contemporary, moody and atmospheric: there’s hardly any vibrato, for instance, and no facility to add it. Bowed articulations include a lot of string noise, too — deliberately so — and more than a hint of blended harmonics or wafting sul tasto behind the main body of the sound. There’s attitude and character from the off, and most articulations will work better for contemporary genres than classical or romantic pastiches. 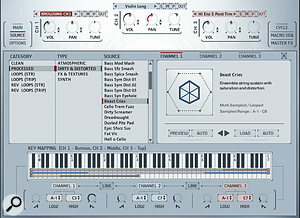 All the available string articulations are shown at the top left and right of the graphical interface, and respond to both MIDI triggers and mouse clicks. That centrally placed, otherworldly orb is tied to your modulation wheel, and controls dynamic level in real time. It’s more than just a dumb level control: bringing the dynamic level right down doesn’t rob the sound of its presence and immediacy. Two curvy columns of clickable buttons labelled Env, EQ, Filter, Mix, Perf and Space call up additional controls and parameters that appear in the lower half of the window. Interestingly, settings for Env(elope), EQ and Filter are remembered on a per-articulation basis. 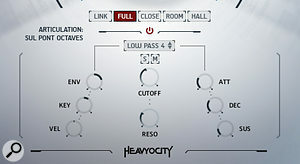 The envelope is a typical ADSR, but with a switchable option to use a natural release sample or an artificial ‘R’ stage. The EQ, meanwhile, is a three-band parametric (peaking only, with no shelf options), and the filter a resonant multi-mode type with two- and four-pole low-, high- and band-pass responses plus peak and notch. It’s got an envelope and key-tracking too, so the filter is a proper per-voice synth-like thing, rather than an all-smothering effect. The Mix, Perf and Space parameters are, however, global settings, and do affect all articulations. Mix puts up faders and pan controls for the provided Close, Room and Hall mic perspectives, alongside a pre-mixed Full blend. Each of these also has solo, mute, RAM purge and multi-output facilities, and what’s fascinating is that the per-articulation EQ and Filter settings I mentioned a moment ago can be set up for each channel individually. So if you want your Long articulation to have thunderous bass into the Hall output, and a squeaky resonant HPF into the Close output, that’s possible. Adding to the fun, Perf gives you a sequenced audio gate and MIDI arpeggiator to play with. 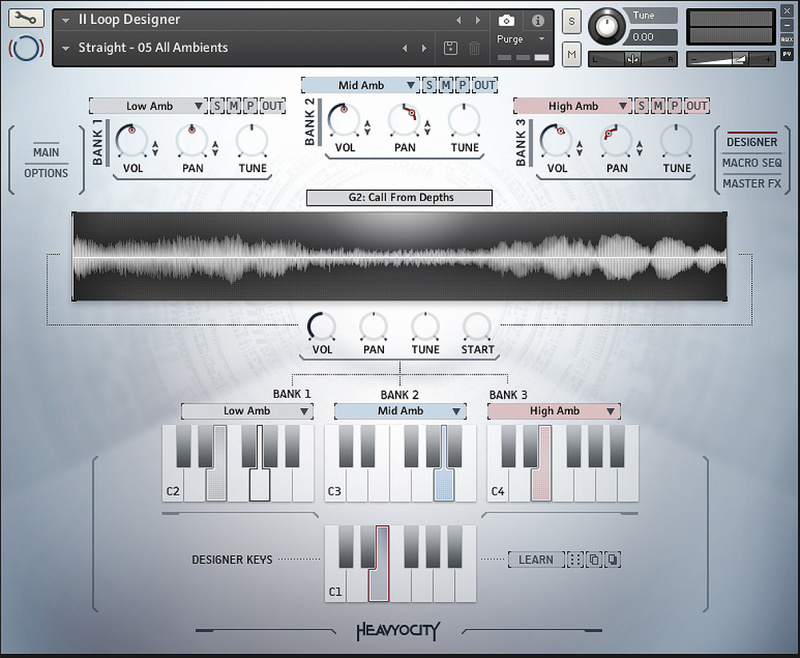 Both are decent, the gate especially so, with up to 64 tempo-sync’ed steps, dynamic range and smoothing controls, and tools for drawing and manipulating the gate pattern graphically. Finally, Space adds a simple tempo-sync’ed delay and a convolution reverb. Nineteen reverb impulses range from naturalistic halls and churches to plates, the Taj Mahal and a ‘Frozen Tail’. Finishing up this survey of Novo’s conventional side, there’s the Low Ensemble patch. It’s fairly conventional, offering a low instrument blend across marcato, staccato and spiccato articulations that are just right for all those driving Zimmer-esque ostinatos. High Ensemble Textures is different, though. There’s four sul ponticello (bow near the bridge) articulations: kaleidoscopic intermittent octaves, hazy bends, pulses and tremolo, plus a con sordino (muted) bend, where some section players hold the main note while others periodically bend under it, microtonally. A good col legno (where strings are played with the wood of the bow rather than the hair) is nice to have, and there’s also nearly two octaves’ worth of high violin harmonics. This whole Kontakt patch is like a toolkit for dreamy, timeless, new-age scoring. All of the articulations are ethereal, slow of attack, and have a hazy, smoky quality: hold down a chord or cluster and you’ll think someone has put a Max Richter album on. Add minimalist reverbed piano and the Deutsche Gramophon contract will surely be in the post. String Designer leaves tradition behind with a three channel/oscillator design and ample facilities for sound mangling. The mod wheel-driven macro control adjusts multiple parameters simultaneously and is capable of smooth and drastic sound morphs.As it happens, even these textures are but a foretaste to Novo’s ‘evolved’ instruments, String Designer and Loop Designer. They share some source samples and a similar ‘house sound’ with the traditional instruments, but deconstruct them in futuristic fashion, as well as adding lots of new pre-treated and looped material. String Designer is, in essence, a specialised sample-playback engine, with three oscillator-like source ‘channels’, multiple per-channel synth architectures, EQ and effects, and a clutch of master effects too. Crucial to the style and sound of the whole thing is that big central orb in the graphical interface, which is still operated with your modulation wheel, but in this guise acts as a macro for animating values of each channel’s synth and effects parameters. It can move of its own accord too, courtesy of a Macro Seq(uence) that acts in one-shot, LFO or step-sequence fashion. Cycle is one of Novo’s deepest areas, capable of setting up rhythmic patterns and granular synthesis effects from individual samples. Punish and Twist, meanwhile are one-knob master-level effects adding attitude and motion.With a couple of hundred highly usable snapshot presets on offer, I wonder if some users will ever lift the lid on String Designer’s programming features. If you dare to, you’ll discover the raw sonic material for each channel can be chosen in a very well-equipped pop-up browser, complete with preview facility. It sorts the samples available in a category/type hierarchy, with each of the individual ‘sources’ also getting a descriptive sentence, to assist in finding something suitable. The browser also sets up key-mapping for the three channels, and with adjustable fades available for the low and high ends of each range, it’s very easy to create composite string textures that morph across the pitch range. Velocity crossfading and switching is not available, but an equivalent can be controllably achieved with the mod wheel-driven macro function. In any case, for most of these sounds, velocity is not the first thing you think of for expressive control. Each String Designer can draw on a great deal of source material, delivered through a helpful browser system. There are sophisticated key-mapping controls here too, for layers, splits and pitch-range crossfades.The synthy side of things is similar to what’s found in the Traditional Instruments, but turbo-charged courtesy of the Cycle panel. This adds sequencer-driven control of sample playback position amongst other things, and that makes it a kind of granular synthesizer. It takes a while to really grasp how to harness its full potential, so in the early stages it’s nice to fall back on several dozen Cycle Presets. But after that, all the normal granular shenanigans are fair game, such as sustaining textures from percussive samples and spiky rhythmic patterns from pads. 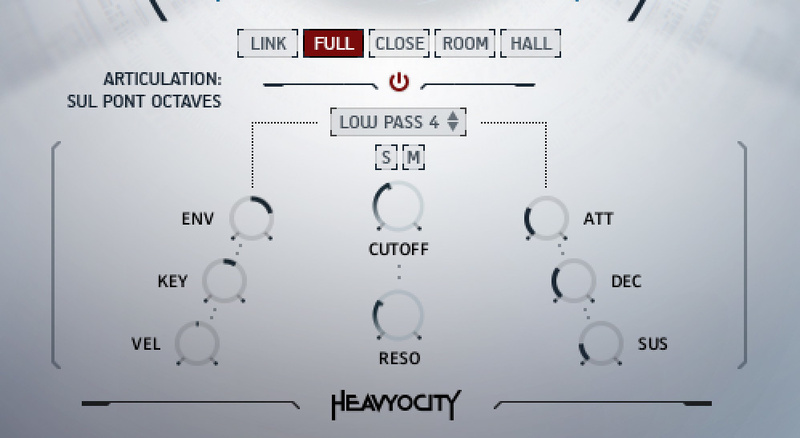 Heavyocity’s trademark master effects Punish (compression/saturation) and Twist (phaser/filter) don’t do any harm to String Designer’s sound palette either. 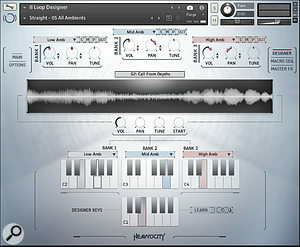 Loop Designer offers single-key triggers of one or multiple loops, which will conform to a whole range of DAW tempos and musical keys. 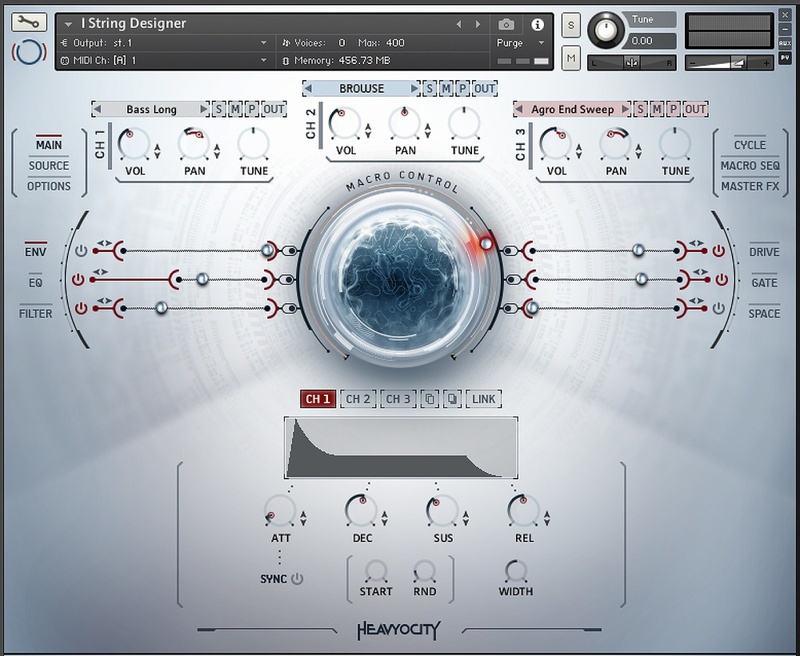 The effect is frequently jaw-dropping, in a good way, but it’ll suit some ways of working better than others.That leaves us, finally, with Novo’s Loop Designer instrument. This has something in common with Sonokinetic’s phrase-based libraries, whereby a palette of pre-recorded loop samples can be triggered in different keys, and conform to your DAW tempo in real time. Groups of 12 related loops get loaded into three adjacent keyboard octaves. You can trigger them individually, or, for the full Hollywood experience, fire several together by pressing a key in the octave below. Another keygroup supplies harmonic information, so as you play individual notes there, loops instantly transpose to that root key (unless you’ve instructed one or two not to, which is great for ominous pedal-point drones or clashes). You don’t get to choose whether loops are major or minor, by the way: most are modal, or riff-based. As with String Designer, everything here is super-configurable: loading new sample banks, the synth architecture and effects, the macro control and sequencing... But with no dedicated sample browser you’re not exactly encouraged to explore all possible combinations. For many that will be of no concern whatsoever, because the sounds that come out of Loop Designer are, more or less, like bits of a finished film soundtrack, frequently combining traditional, distorted, effected and unashamedly synthesized string sounds in extremely impressive combinations. “Blimey” was the word that often sprang to my lips, closely followed by the odd “Well I never”. Whilst it’s hard to be critical of anything that sounds this good and requires such little effort, I personally have mixed feelings about this kind of instrument. Loop Designer sits deep inside auto-accompaniment territory, and has all the wonderful instant gratification and questionable compositional ethics that go along with that. The macro feature gives a feeling of creative control, but ultimately you’re just leveraging someone else’s creations. For some this instrument will be the pick of Novo’s crop, and for others anathema. I won’t say any more. Thinking more practically again, all the provided loop combos are in a 4/4 time signature. But there’s triplet/compound/swung phrases as well as straight, and adapting any of the phrases for 3/4 or irregular time signatures is just a question of appropriate note re-triggering. Novo is not a cheap library, and I can almost hear the cries of “You could get a whole orchestra for that!” Yes, the same money could buy one or more general-purpose libraries, but if ever there was a case of getting what you pay for, this is it. I can’t think of any other way to say it: Novo sounds fantastic. The dual-personality basis — naturalistic (in a contemporary vein) on the one hand and aggressively synthetic on the other — is a major draw. It means you can be mocking up Glass-esque arrangements one minute and layering gated, granular pads over sci-fi visuals the next. It’ll span many different working styles too, covering those who like to score in a classical manner with separate single-line instrumental sections, but offering just as much to those who prefer chords, pads, drones and loops. While Loop Designer does lean strongly towards music for picture, all the other instruments will be equally at home in straight music production. And what Novo lacks in the sheer number of articulations (there are no solo instruments, vibrato options, trills, glisses or runs, for example) it more than makes up for in usability and quality. My few reservations centre on CPU usage, and the consistency of some Traditional instrument articulations. First, and to cut a long story short, Novo has the ability to eat up CPU cycles in no time. It’s to do with its default multi-channel design, the number of Kontakt voices that can require (which is a lot, basically), and the fact that you often end up with lots of Novo instances and hence lots of effects running concurrently. CPU use can be cut, significantly, with a few simple tactics (like using the pre-mixed Full mic perspective) but even then it’s not the leanest of libraries. Users of the latest i7 and workstation-class chips will be fine, but on more modest machines you may need to be realistic, or be disappointed. My other gripe is about the attack and release phases of a few Traditional articulations. Some spiccatos and other ‘fast’ articulation notes speak a bit late, to the extent that playback of hard-quantised scales and figurations can sound drunk and lopsided against a rhythmic reference. Some notes are affected worse than others, which actually makes the situation worse, as you can’t compensate for it en masse. At the other end of the envelope, so to speak, naturalistic release samples are surprisingly noisy when dynamics are raised to the maximum. We’re talking a couple of seconds of good old-fashioned hiss after every note, with some low-level studio creaks and clicks thrown in for some cello and bass notes. It’s not a deal-breaker, and for most scoring jobs you may never notice it, but noise is there. Both of these problems could be dealt with in an update to Novo’s instrument programming, and I hope Heavyocity will issue one in due course. Maybe the greatest compliment I can pay to this library is to say that it often seems to be a source of inspiration in itself. The Traditional instruments are sufficiently good that you’ll want to try out different orchestrations with them: they’re worth the effort. String Designer, on the other hand, can draw you into surprising and rewarding musical areas. It’s a true hybrid, combining the best features of both sampler and synth. The mod wheel dynamics and macros do their jobs beautifully, offering expressivity without the need for programming and MIDI controller complexity. The net result is a seemingly unending stream of very usable, playable, interesting and evocative textures. You can’t ask for much more than that, from any instrument, old or new. The likes of Spitfire Audio’s Symphonic Strings Evolutions or Olafur Arnalds Evolutions inhabit the same cool, brooding sound world, but are actually different animals entirely, lacking extensive synth-hybrid capabilities. I’m not sure anything directly compares to Novo, when you take into account the sheer range of character it offers. A few of Novo’s ‘Traditional’ articulations, in common with other sophisticated libraries, have features dedicated to ensuring they sound as naturalistic as possible. Legato, for example, is by default monophonic, to avoid artificial-sounding overlaps that would never occur when a real string section played a melody line. And whilst there are no obvious swooping pitch transitions, there’s surely some clever behind-the-scenes stuff going on to make it sound as good as it does. Crispness of response is particularly impressive: play a fast scale or broken-chord figure and all notes are immediately and clearly audible, but without the realism-robbing slew of attacks we might associate with lesser libraries or ROMpler keyboards. There’s also switchable two- and four-voice modes, which promise to retain the same sense of believability for polyphonic, contrapuntal-style note input. They work, but only to a point. Novo will interpret a legato-played melody correctly, while a long note is being held beneath it. But it’s not smart enough to then let the lower voice begin its own movement, while the upper holds, even when they’re a long way apart in pitch: held notes end up being silenced. Still, for some simple figures it’s OK, and if you want true independence you’ll score your lines using multiple Novo instances anyway. The round-robin features of the spiccato and pizzicato articulations are really successful, however. With three alternative samples available per note, and options to cycle or randomise their playback order, there’s nary a whiff of ‘machine-gun’ artificiality. Spiccato goes even further, with separate down- and up-bow samples provided, each with their own round-robin sets. Novo generates up/down-bow patterns, in the manner of real string playing, whenever playback exceeds 1/4, 1/8, 1/16 or 1/32 note pace (according to the Rate setting). Sophisticated stuff, and the result is almost always convincing and natural-sounding. High-quality core samples are bang on trend for modern cinematic and pop styles. Mod wheel-driven dynamics and parameter macros are effortless and extremely effective. Gives great results out of the box, but allows for deep programming and personalisation. 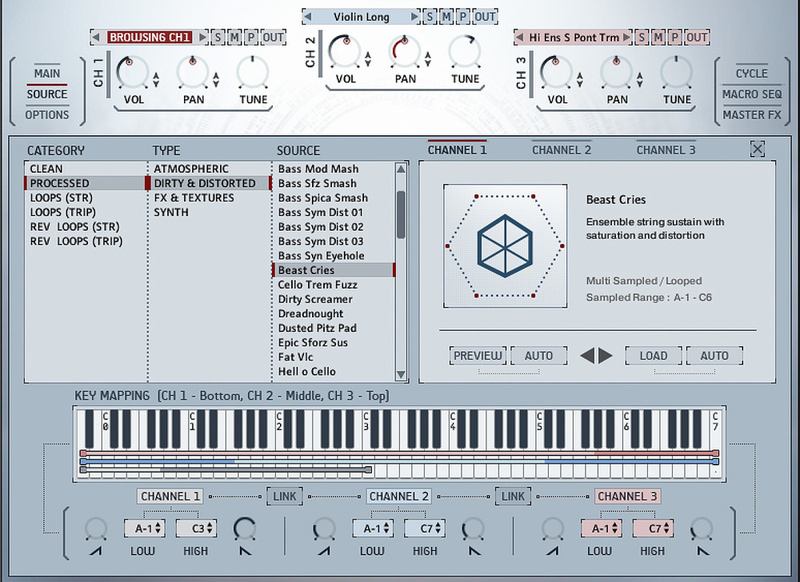 More than just a string library: String Designer feels more like a really potent sample-based synth. Default instrument configurations can be CPU-heavy. Some unevenness in attack- and release-phase behaviour for several articulations. Not the widest selection of articulations, and not the best choice for slushy romantic scoring. A thoroughly up-to-date strings library that offers the best of multisample, loop and hybrid synth-like sound-design practice. If you can’t make classy-sounding string and pad arrangements with this then you’re just not trying! Apple iMac with 3.3GHz Intel Core i5 CPU and 16GB RAM, running Mac OS 10.12.5.